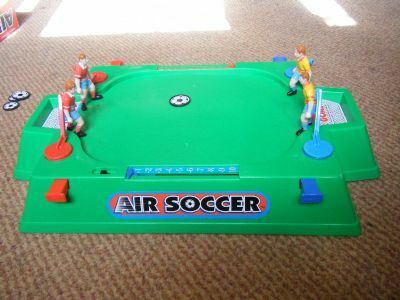 A miniature version of the classic amusement arcade game with puck on a bed of air blown up through small holes in the pitch. 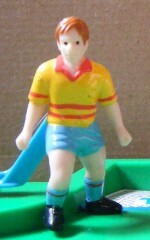 This version works amazingly well and the addition of kicking players is a great idea. Two little boys getting a little over excited! 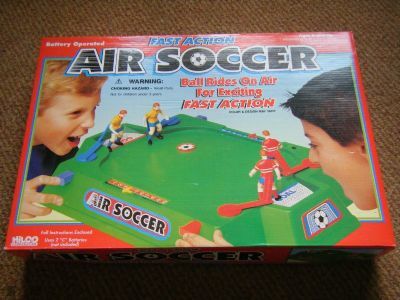 Great little stadium that creates a cushion of air to play on. 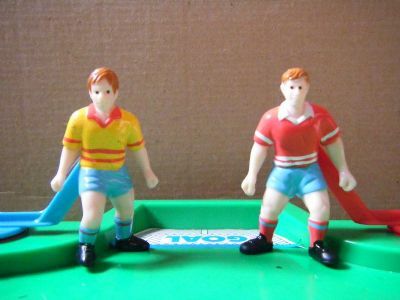 Two players each and a ball puck. 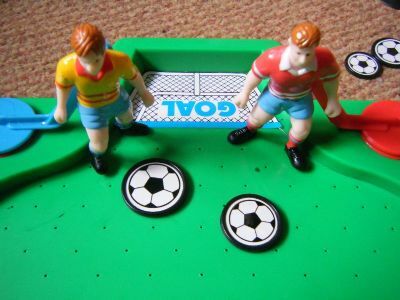 The game comes with a choice of small or large puck.